Underworld are nothing short of a British institution. Alongside contemporaries like The Chemical Brothers, The Prodigy and Orbital, they’re one of a handful of acts who’ve successfully brought discerning electronic music to the masses, chiefly as a result of their raucous live shows. A festival act up there with the very best, theirs is a unique sound: although it still feels at ease in a club, it’s at a festival (or at least, a suitably large stage) where the sound of ‘Rez’, ‘Cowgirl’ ‘Two Months Off’, ‘Dark & Long’ and ‘Born Slippy’ really pack a punch. As you may have noted from the aforementioned list, Underworld have been responsible for some of electronic music’s most defining musical moments of the past few decades. From downtempo, melancholic numbers to more frantic techno weapons (and often featuring the lyrical brilliance of Karl Hyde), they've a vast musical repertoire that’s constantly fresh and full of raw emotion. A truly unique proposition, the term ‘legends’ might be overused in this day and age, but anyone who’s experience the band live will no doubt attest to their brilliance. So without further ado, here are 10 moments that defined Underworld…. Karl Hyde and Rick Smith’s musical relationship first took flight in 1987 in Cardiff. Inspired by everything from Kraftwerk to reggae to electroclash, they soon formed a band alongside bass player Alfie Thomas, drummer Bryn Burrows and keyboardist John Warwicker. Named after a graphic squiggle and calling themselves Freur, the band disbanded soon after, but not before they released ‘Doot Doot’, an auspicious new-wave effort with shades of Heaven 17 and Yazoo. With Freur’s ‘Doot Doot’ only placing as high as #59 on the UK singles chart, in 1987 Hyde, Smith, Thomas, Burrows and a bass player named Baz Allen formed a new band under the name Underworld. Embracing an electropop sound, they signed to a new label and released two albums, 1988’s ‘Underneath The Radar’ and 1989’s ‘Change The Weather’. Although modest success accompanied both releases, the fivesome disbanded soon after, leaving Hyde and Smith to sow the seeds for the Underworld we know and love today. 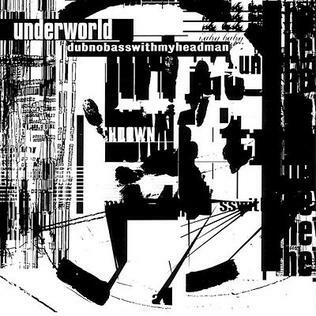 1994’s ‘dubnobasswithmyheadman’ is generally regarded as Underworld (or, at least, Underworld 'MK2'’s) debut LP for a variety of reasons. Much of this is attributable to the album’s electronically-inclined sound: where previous albums were concerned with electropop and new wave aesthetics, ‘dubnobasswithwithmyheadman’ focused on a tougher techno vibe for which the group are best known today. The other reason 'dubnobasswithmyheadman’ is regarded as Underworld’s first album is the recruitment of DJ/producer Darren Emerson, who helped inspire the band’s aforementioned club-edged sound. Seeing the light of day on the iconic Junior Boy’s Own imprint, the album gave rise to four classic singles in the shape of ‘Mmm…Skyscraper I Love You’, ‘Cowgirl’, ‘Dark & Long’ and ‘Dirty Epic’. 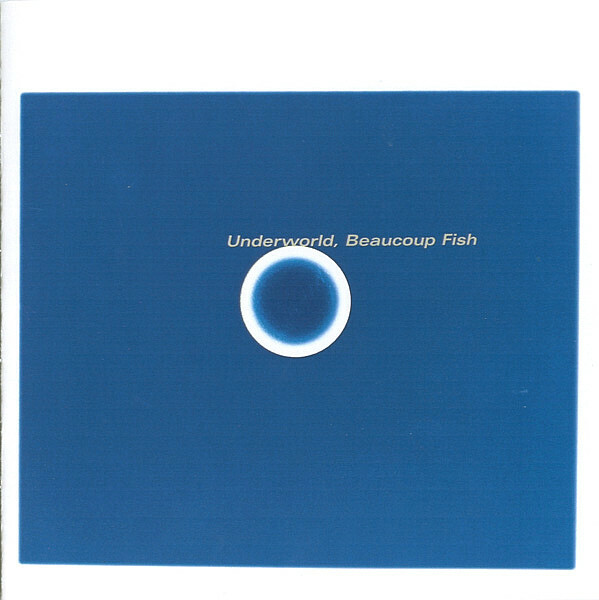 Still fondly remembered as one of electronic music’s best ever albums (and arguably, its most confident-sounding debut), if you’re after an introduction to Underworld, consider this a fitting - if not utterly essential - pitstop. We’ll get on to ‘Born Slippy’ in a moment, but first thing's first it should be recognised that Danny Boyle is quite clearly a huge Underworld fan. Although it curiously doesn’t feature on the official soundtrack, few who’ve witnessed Trainspotting can ever forget the 'baby scene', complete with Underworld’s ‘Dark & Long’ playing in the background. That one of the world’s best directors chose not one, but two Underworld tracks to soundtrack one of the ’90s best films tells you everything you need to know. There are a few reasons why ‘Born Slippy’ (or to be specific, ‘Born Slippy .NUXX’) works so well in Trainspotting. A track of various moods and sounds, it successfully transitions from subtle and sombre to frantic and banging and all the way back again, much like the film itself. It’s something of a moot point of course, but it’s debatable if Underworld would be headlining festival shows to this day were it not for Boyle’s willingness to utilise Underworld's sound. A track that almost transcends the film’s popularity and without doubt Underworld’s signature hit, ‘Born Slippy’ is to Underworld what ‘The Bells’ is to Jeff Mills and ‘Move your Body’ is to Marshall Jefferson. In other words, it’s not only Underworld’s defining anthem, but it’s also a defining anthem to those who grew up alongside it. The video below involves spoilers, but if you haven't seen Trainspotting yet, what exactly are you waiting for? At Glastonbury ’98, there can be little doubt that Underworld stole the show. And that’s not just our opinion either: a few years back, The Telegraph voted the band’s virtuoso performance as one of the festival’s best ever. When you take stock of some of the talent that’s touched down in Worthy Farm over the years, it perhaps goes some way to explaining the esteem which Underworld are held in their native country. "This is one of life's happy moments!" bellows Hyde toward the end of the performance of 'Dark & Long'. When the frontman is having as good a time as the crowd, you're generally on to a winner. The last album to feature Darren Emerson and arguably Underworld’s second best long player, Beaucoup Fish was recorded post Trainspotting, a period where everything the band touched was expected to turn to gold. Full of classic-sounding weighty techno tracks that could just as easily have been produced by a Ben Klock or Robert Hood, Beaucoup Fish was a triumphant listen that left fans in no doubt as to the band’s intentions. From ‘Moaner’ to ‘King of Snake’ to ‘Push Upstairs’, this one packs a massive punch but is not without its introspective moments, with the sounds of ‘Cup’ being the obvious example. Exceptional stuff. Underworld pre-2000 was a trio that was very much the sum of its parts. Whereas Rick Smith provided the technical assurance and Karl Hyde brought the lyrics, the songwriting and acted as a frontman like no other, Darren Emerson brought the club-infused attitude that Smith and Hyde were lacking before his arrival. That went up in smoke when Emerson departed in 2000 to go solo. Although Hyde and Smith have conjured up some memorable records since Emerson’s departure, there can be little doubt that Underworld were at their most emphatic as a Smith, Hyde and Emerson trio. Darren Emerson would go on to enjoy solo success of his own, establishing the Underwater Records imprint and contributing twice to the much-acclaimed Global Underground mix series. Oh, and he also remixed Gus Gus’ ‘David’ to devastating effect. An early ’00s classic if ever there was one! The first album to be recorded post Emerson’s departure, ‘A Hundred Days Off’ sees Smith and Hyde continue on a house and techno tip, albeit with some more ambient sounds thrown in for good measure. A fitting example of the eclecticism that’s long coursed through the band’s veins, its lead single ‘Two Months Off’ has since become known as one of the group’s best. Seemingly tailor-made with the festival stage in mind, the track is drenched in positive vibes, defined by its oft-repeated chorus, “You bring light in!”. A masterful example of Underworld’s ability to produce music for the big occasion - and proof indeed that Hyde and Smith could survive and thrive in the shadow of Emerson. As much as Underworld helped to define the cultural zeitgeist of the ’90s courtesy of ‘Born Slippy’, director Danny Boyle also ensured the band were at the forefront of arguably Britain’s biggest ever sporting moment back in 2012. Before you’re wondering, the answer is no: Boyle did not have Karl Hyde running the 100 metres alongside Usain Bolt. Instead, he had Smith soundtrack and play the opening ceremony courtesy of the duo’s unforgettable ‘Caliban’s Dream’. Pairing Underworld’s brilliance with Boyle’s penchant for aesthetics proved a masterstroke for all concerned: not only did it feature all three individuals revelling in the other’s creative genius, it also set the wheels in motion for an unforgettable Olympics.